Is this the new Dallas Stars logo? The Dallas Stars are scheduled to unveil their super secret new uniforms and logo on June 4 at a special fan event, featuring everyone from owner Tom Gaglardi to star forward Jamie Benn. So, naturally, it appears the logo may have leaked nearly two weeks before the event. D'oh! 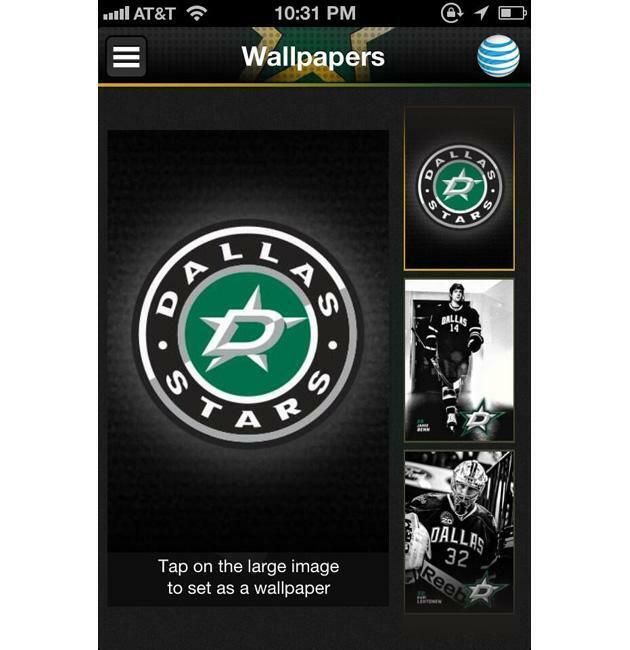 On Thursday, Stars fans began reporting on a new addition to the team’s iPhone wallpaper selections on its official app. ... which bears a passing resemblance to this. Will Starbucks be to the Stars' logo as Fishsticks were to the Islanders? The logo incorporates the star from the team’s current logo – the one that loves inside the ‘A’ – but places a large silver ‘D’ inside of it. "What I wanted for this franchise was a logo and a look and a crest that when you look at it has timeless, original-six, vintage, classic qualities to it, and that's been the theme of what we've been pursuing," Gaglardi told us in January. I then asked if that was to say that he hoped this new jersey would be one that would stick around for the long-haul and he answered simply "Yes." This logo would seem to fit that design. It’s a more classic looking crest than the current logo, and an attempt to create something iconic and identifiable. If this is indeed the new logo, what do you think? And by that we mean: Better or worse than the Stars’ other clear option, which was resurrecting the Mooterus?